Once, being the teacher of the Art school, I had found on my table a news coupon. It was hand-made with attached note: If you would like to get the magazine “The life story of the dog”, please sign. The hand writing had been revealing a very young author, it was not difficult to guess that it was one of my students, I signed to support the offered game. Later on during the year I got 12 issues of the hand-made magazine “The Life story of the dog”. It had been appearing on my table unnoticeably and regularly. Consisting of sewed together blocked notebook shits by white of black wire, it contained everything what should contain a real magazine: starting up from editors review to the crosswords page. There were poems by Asadov about abandoned dog, methods of treating the animals, the history of different breeds and so on. It was found out that the heroic editor was a schoolgirl Marina Shakhova. In the Arts school Marina was taken painting and piano lessons, and had a dog named Akira at home. That case gave me the idea – why not to start a magazine “The Life story of the artist”? so here we started our play in editors office, journalists, art-critics, design, but just under the other title. This is how the “Vvedenskaya Storona” was founded. Why our magazine has such a title? That is how in old times was called the part of the Staraya Russa city - by the name of the church “Presentation of the Virgin Mary”, situated there. But the main idea is that for many children our magazine is a presentation to the spiritual and artistic dimension, presentation of life and profession. It connects the children with history and culture and gives a chance to experience joy from the first time publishing, to get new friends. The first issued was published in 1998. We have started out work with no money, no idea about printing industry and edition problems. We had no idea what a difficult journey we had started. It reminded us the Creation: “Darkness was all around… ”. Together with children we made up the conception of the magazine, names of the mile stones, the cover design. Julya Pavlova, our student, had drawn the head pictures to the milestones. We put together the children’s paintings, poems, stories. We layed out the magazine as good as we could using a computer borrowed from the factory. 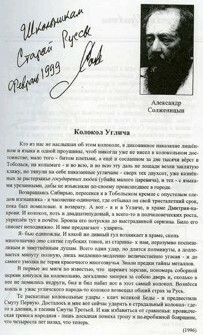 Our first layout designer and computer magician was Oleg Pavlovich Kazakov. Next day my first thought was to give up this editors initiative – it appeared to be quit a hard task to make a magazine. But by some quirk of fate on of the copies of “Vvedenskaya storona” was delivered to Moscow by the well-known literature critic and writer Ludmila Kasatkina and handed over to Alexander Solzhenitcyn. Soon after that we were very surprised to get the letter from the writer, his novel “Uglich bell” with autograph and an offer to print out the novel in our magazine. We understood it as a blessing and we have no right not to make a next issue. We put ourself together, using our first experience we started to layout the next issue. We were extremely proud to print it out in October 1999 in 50 copies. Later on those 2 issues helped us to get an award, that gave us opportunity to buy a computer, printer, scanner and publish the next 4 issues in 999 copies each. In 2002 the magazine has been registered in the Ministry of Press and Mass Communication Media. Now it became real and popular magazine. The magazine attracted many friends and fans. The idea appeared to be quit resourceful. It started to attract authors, art patrons and readers. There are friends and followers from all over Russia and abroad. In 2007 we had been awarded a President grant in the sphere of art and culture for creating the internet version of the magazine “Vvedenskaya Storona”, so this is how our web-site was founded. For several years I has been receiving the “Vvedenskaya Storona” magazine from Staraya Russa and has become the dedicated reader. Attractive, colorfull magazine about art that publishes as pictures by the great masters as well as the pictures made by school children. Though it is a magazine for children it gives pleasure to read to adults also. Paintings, poetry, prose (again masterpieces and the first experience), art history and trends in fashion – All these can be found in it to joy everyone who is passionate to culture. “VVedenskaya Storona” is a unique thing not only for Staraya Russa or North-West of Russia. I think it is the only one magazine of such a quality and content. So it is not an accident the 40 regions of the country are subscribed, read it and share deserved attraction to the magazine. From the start I was quit surprised by it’s “metropolitan” character. Than I understood that being “metropolitan” is not the quality mark, and provincialism is not the inferiority evidence. On the contrary: all that affection that children and adults give to this project in the rayon town provides it a high level. How did it start? There was a man – Nikolay Lokotkov, the teacher, who became a journalist and publisher, who started up the idea and lightened everyone with it. He made up a perfect form of promoting art, spiritual education to children, all these is really needed by our school and in general all our wooden rational education system. The magazine is made up by children themselves – talented children, who set heart for beauty. It appeared to be that we have everything going on by enthusiasm. Large literature and art magazines are in the half-dead condition, but enthusiast from Staraya Russa, Lokotkov, the “lighter” managed to create the magazine and keeps it going on. 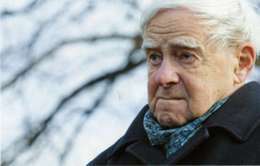 I know one more such a Companion - it is enthusiast historian colonel Sergey Poltorak. He also by his own means publishes two magazines: “Peterburgskaya starina” and “Klio”. When it was hard times he sold a car and kept on, than somehow managed to get funds for publishing his historical magazines. That is exactly the case when the money resource provokes no jealousy, no suspicion, no bad talks. It appears to be that such a pure blessed deed can exist, the candle shall be alight and warm up people. Lokotkovs, Poltoraks survive in Russia in spite of the fact that our state authorities do not take real care about neither art nor culture, and even if they grant a help, it is done forcedly and unwillingly. But companions do it themselves and provoke others to act. Their example is very important for everybody. You can do some one time activity and calm down, but you can as Lokotkov forster the magazine and keep on publishing it for 10 years. 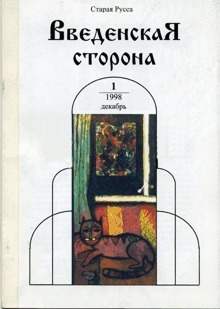 The magazines “Peterburgskaya starina” and “Klio” also has been published for many years. Of course I am especially pleased the “Vvedenskaya Storona” magazine is issued in Staraya Russa. That is my childhood town, I am proud that it is announcing about itself by such issue and such person. We are much obliged to everyone who took part in creating and promoting the “Vvedenskaya Storona” art internet-magazine for schoolchildren, teachers and parents.